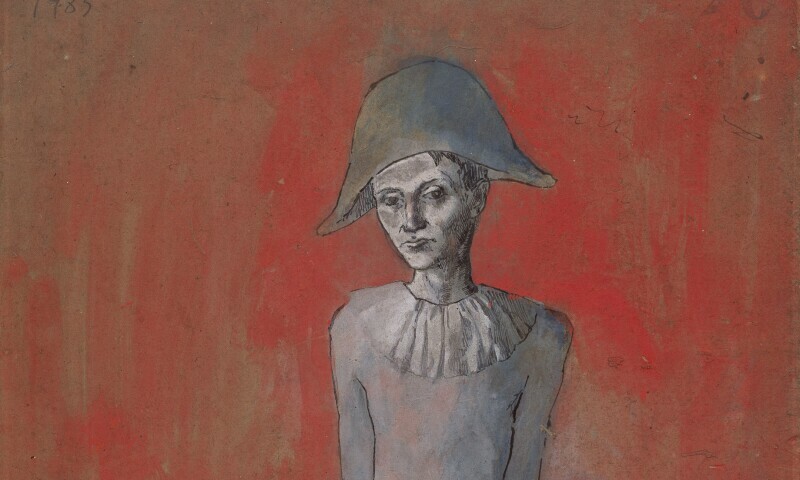 Pablo Picasso, Arlequin assis au fond rouge, 1905, watercolor. The Musée d’Orsay and the Musée National Picasso-Paris are organising an exceptional event dedicated to Pablo Picasso’s blue and rose periods. This exhibition is the first large-scale collaboration between our two museums. It features masterpieces, some of which, such as La Vie (1903, Cleveland Museum of Art), are presented for the first time in France, and proposes a new interpretation on the years 1900-1906, a critical period in the artist’s career which to date has not been covered in its entirety by a French museum. The exhibition brings together a large number of paintings and drawings with the aim of presenting a comprehensive overview of the artist’s sculptures and engravings between 1900 and 1906.